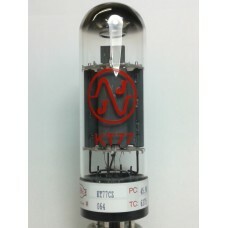 KT77 Tesla. Nice balance all around. Sound is somewhere in between 6L6 and EL34. There's more headroom, deeper low end, less mids and the highs extend farther. Great for playing heavy.